I just received this amazing frame from Nikki Winter Photography and Organic Bloom! 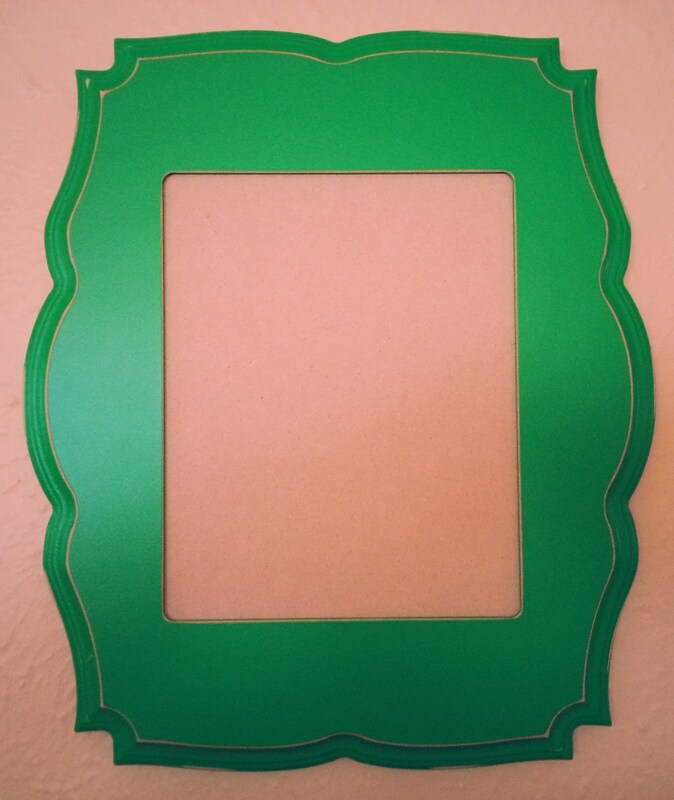 It’s the Cary Grant frame in Clover Leaf, a heavy wood piece with a little distressing and an 8 x 10 opening. This was a referral bonus from my favorite photographer, who I would refer any day without a fancy gift, but how could I turn away something this gorgeous. 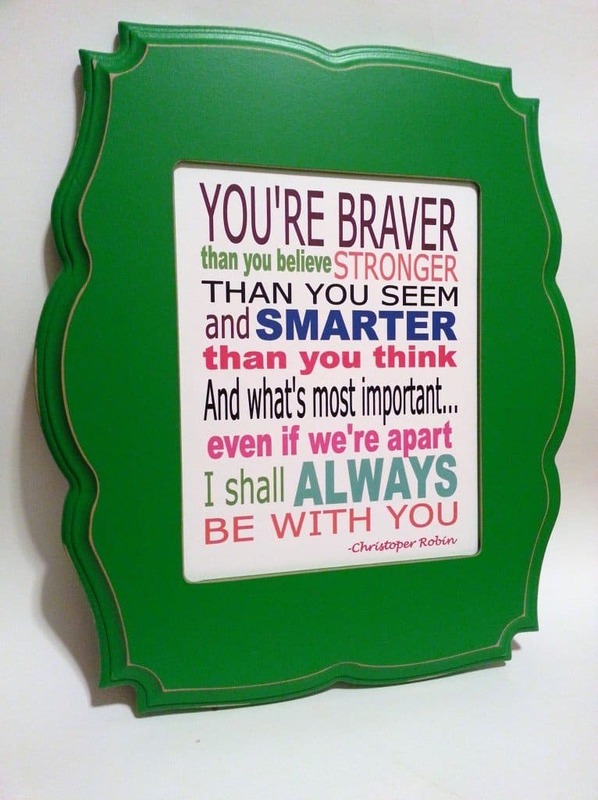 I know I want to put this frame in my daughter’s new playroom. 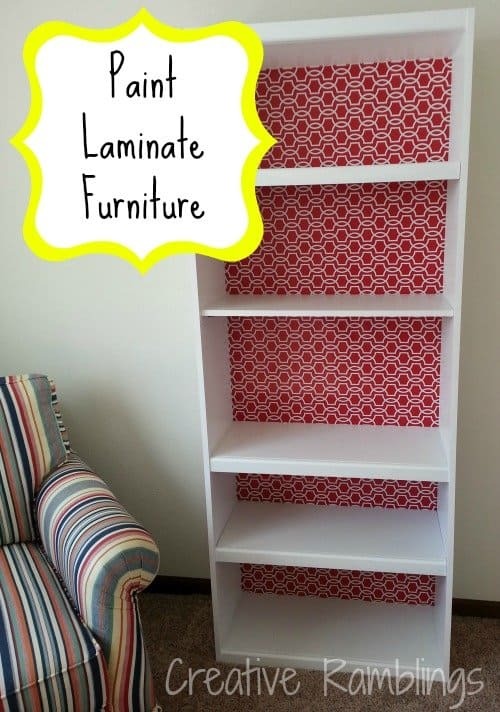 I am creating the room around an overstuffed striped primary colored chair. Ideally I want a wall of bright frames with a mix of photos, prints, and my daughter’s works of art. 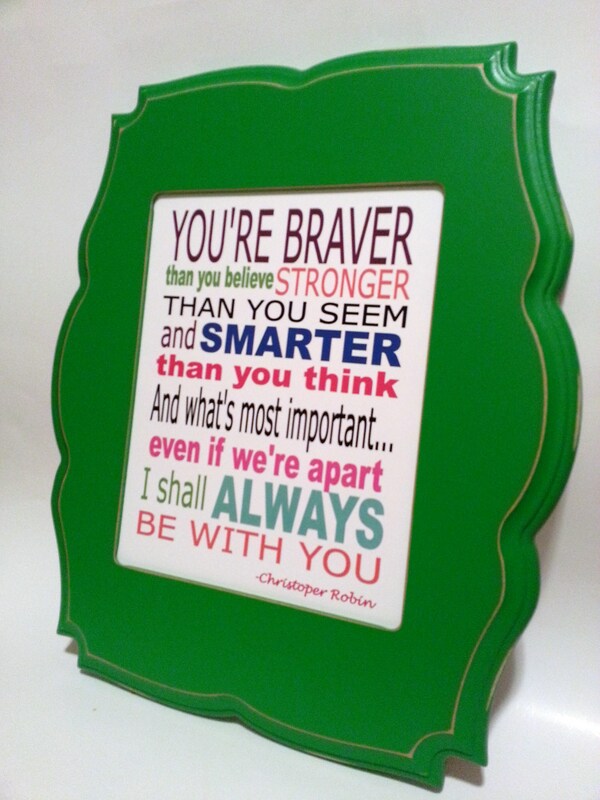 I decided to try my hand at a colorful graphic print for this particular frame, a Winnie the Pooh Typography Framed Print. I toyed with the idea of my daughter’s name, birthday, and birth stats but (thinking realistically) if I have another child will I put forth the effort to do the same for baby #2? To be on the safe side I will pass on this idea. 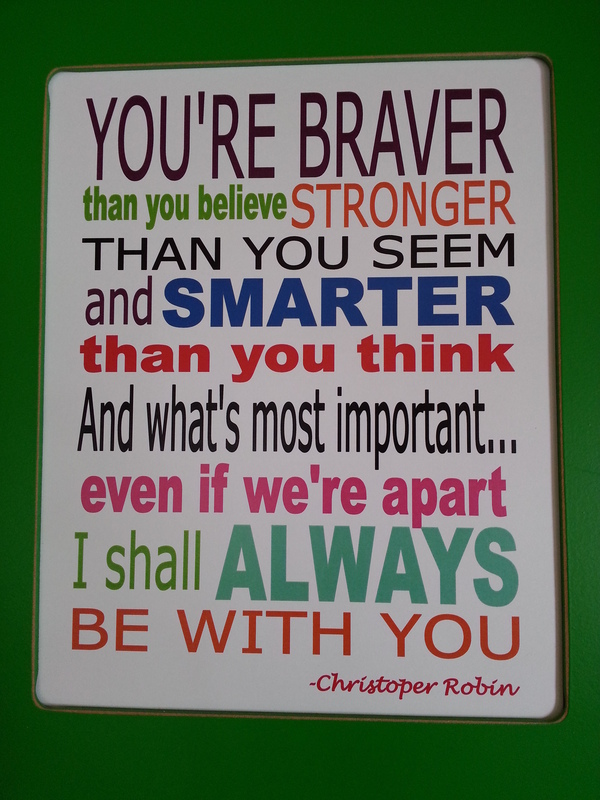 So that led me to this, a quote from one of my family’s favorite character’s; Winnie the Pooh….well actually Christopher Robin. 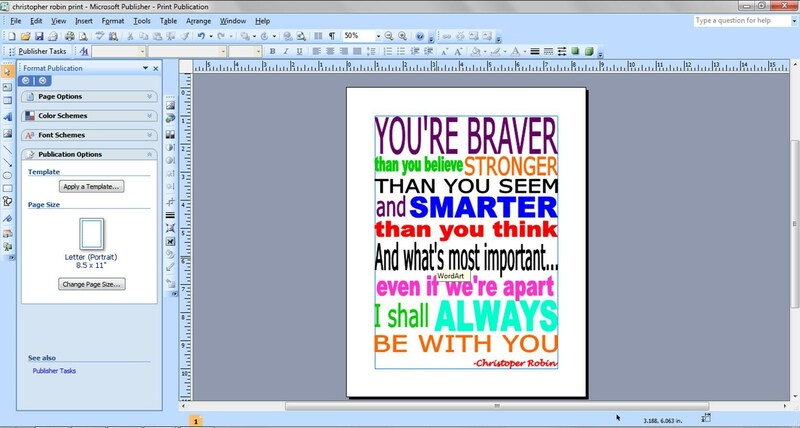 I edited it down a bit and used Microsoft Publisher and WordArt to create the print. Publisher is an oldie but a goodie, I really like using it. I created each block using a separate WordArt text box and some coordinating fonts and colors. There are plenty of free online design sites out there that you can use with similar results. Sometimes I find that these programs, which are already on my PC, are familiar and easier to use. Plus I can save my work and come back to it to edit. Then I printed it on white cardstock. I love how this looks in the frame, can’t wait to get it up on the wall. This piece looks amazing in the playroom. 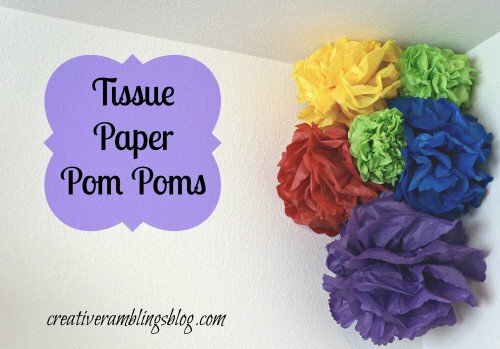 Take a look at the posts below to see the gallery wall I created around it and some other fun playroom decor. Great idea! It is a beautiful frame and your word art looks wonderful in it. Good to see what can be done in Publisher. Great quote too!